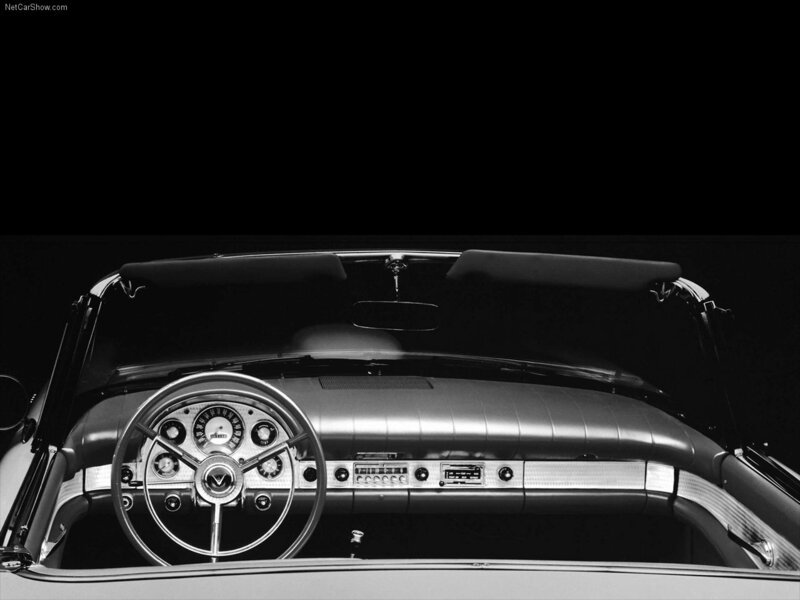 The Ford Thunderbird has always had a glance of style and class. When you drove down to your work or friends in town, the car was a head turner. Ford had an ongoing competition with its rival of Chevrolet Corvette that came in 1953. 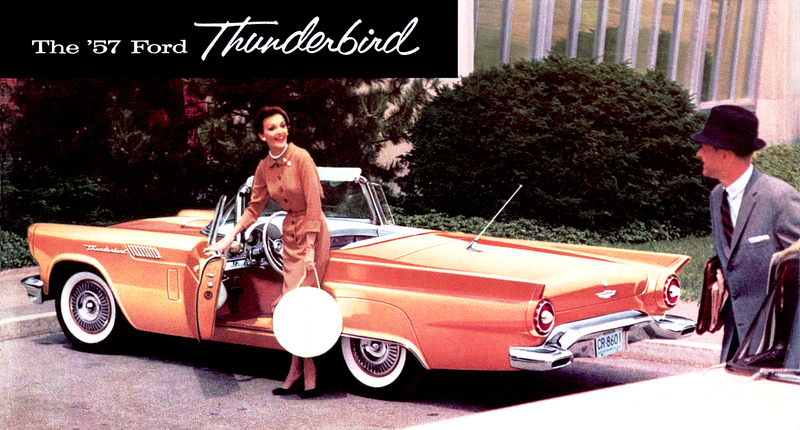 Ford managed to release the Thunderbird as a personal luxurious car, instead of Chevrolets sports car name. The Thunderbird was a success and still is even today. 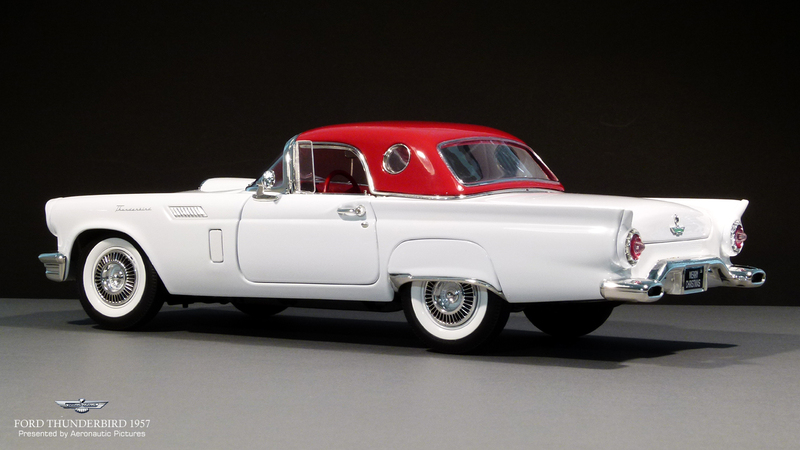 The most popular model of the first 55-57 Thundebirds is the 57´ and that reflect also in the die-cast 1:18 scale marked, as the little 1957 Ford Thunderbird is made by many producers; Yatming, Revell and Ertl etc. 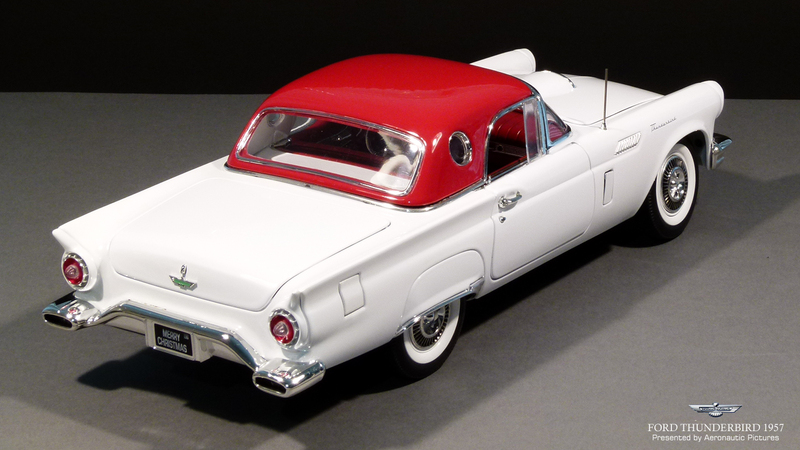 Auto World as a premium series from Ertl make a fantastic 57 Ford Thunderbird with removable hardtop in scale 1:18. This model here is a limited “Merry Christmas” release in Colonial white with Flame red hardtop. 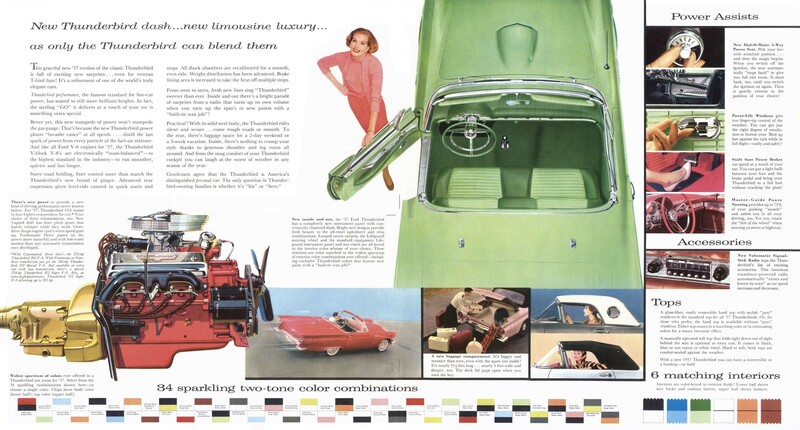 Over the years the cars had many fantastic colors and one of the pretties in my book is the one in Rose Copper – Ford original name was “Thunderbird Copper Poly”. You can find advertising photos in this color later down in this article. But back to this white/red model here; Auto World models lay in the high detail level to a fair price range. They can cost up to 120 Euros, but can be found as low as 39 Euros on sale! Remember they nearly all come in limited numbers and the models often became more expensive when they are out of stock from Auto World. This is nerve wrecking for the controlled collector. As stated before the detail richness varies on some models, special the chrome trim panels can sometimes be found in silver paint instead of real individual chrome pieces. So do your research before purchase and you know what to expect. This model has all the chrome in the right material, so here you are on safe ground. Often when we buy a convertible they all have the top down or like on Sun Stars models the top is either up or down. In some rare occasions as this; you can choose yourself if the top shall on or leave it at home - A really nice feature! 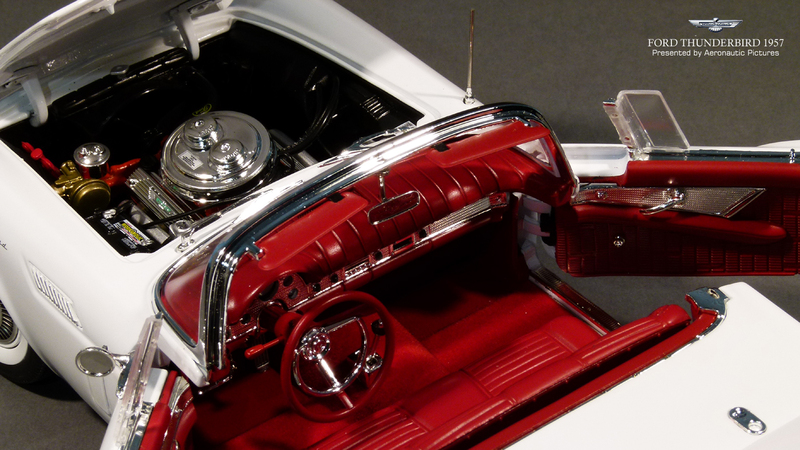 The interior of a model car is vital to the overall appearance and detail richness. - And very crucial to obtain high rating in my reviews. Auto World seldom let you down as they lay a lot of work in those interiors. The interior have real carpet inside with very detailed instrument panel and dashboard and if we take a closer look at the inside of the doors. We see small Thunderbird emblem integrated in the vinyl just like on the real car. The backrest on the seats can be moved forward to reveal the small space behind to extra baggage or a soft top. The red seats themselves are very realistic as well as the steering wheel. Sure this car is good! Another fancy feature of the model is all the doors and lids that can be opened. Up front the hood open up the reveal a marvelous detailed engine compartment included the battery and air filter with stickers. The nice Thunderbird V8 motor has small green Thunderbird emblems on the valve cover too. And if you look closely you will find an oil stick and wires. The front fenders have fine printed Thunderbird letters and small faux air inlet as the real car. Furthermore small working fresh air doors can be opened or closed at your choice. The side doors of the model have good quality hinges and look realistic when open. The casting of the parts is good and can been seen as no severe gabs around the doors and lids occur when closed. The paint and prep work all over, is very good on models from Auto World. The rear fenders are small gems on this model. Just look how well made the fender skirts with chrome trim are. In the rear part of the car we find the 57´extended trunk, with a huge deck lid, highly decorated with the famous green Thunderbird emblem including the key lock. When we open the deck lid a highly detailed trunk space emerge for our eyes! Here are both spare tires, jack, and carpet. One thing I like; is the small tube going from the right rear fender down to the gas tank under the floor. And you can even open the gas lid too on the right rear fender! 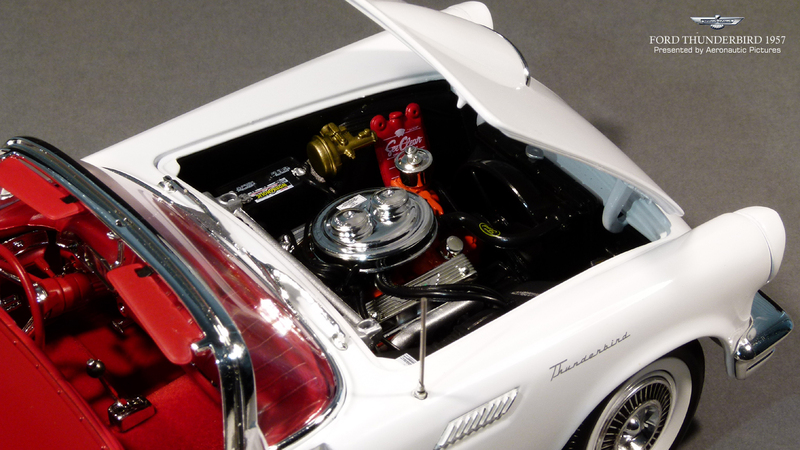 This is details that many other makers of model cars will had cut some corners here. Very well done Auto World! It is with cars as with women; some also look good from behind! 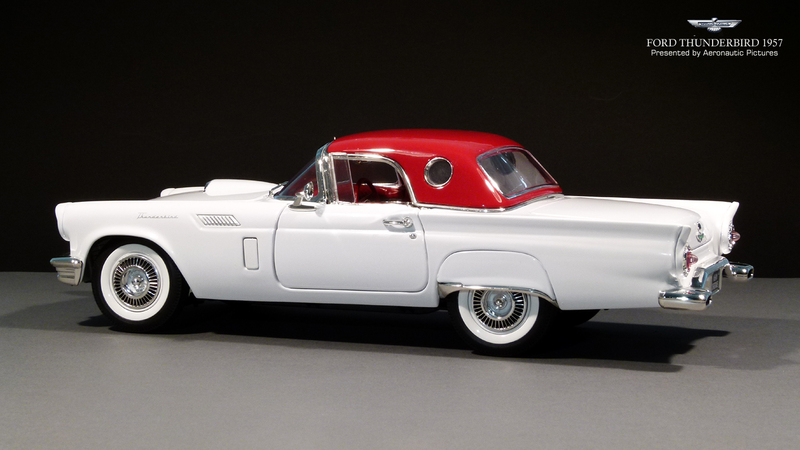 – This Ford Thunderbird have a distinct design of exhaust pipes integrated in the bumper that in combination with the circle red tail lights, resemble a space ship taking off to the stars. Do I like the model? ……You can read already that I’m hooked on this model. But there is some small issues I will highlight to balance this review. First the front wheels (otherwise fantastic made) have a too much a big tolerance regarding the shafts, therefore the model can be placed a bit skew on the front wheels. You can improve this by secure the wheels with a tighter fit to the shafts. The small air inlet doors on the front fenders are a bit flimsy and can stand odd when opened – the hinges should have been tighter made. Glue will fix this problem. And lastly if we look very close on the instrument panel, the speedometer is missing the needle and digits. – Maybe this is an error only on this particular specimen from Auto World….. If you also have this issue please let me know. One thing is for sure; this model is all the money spent worth. 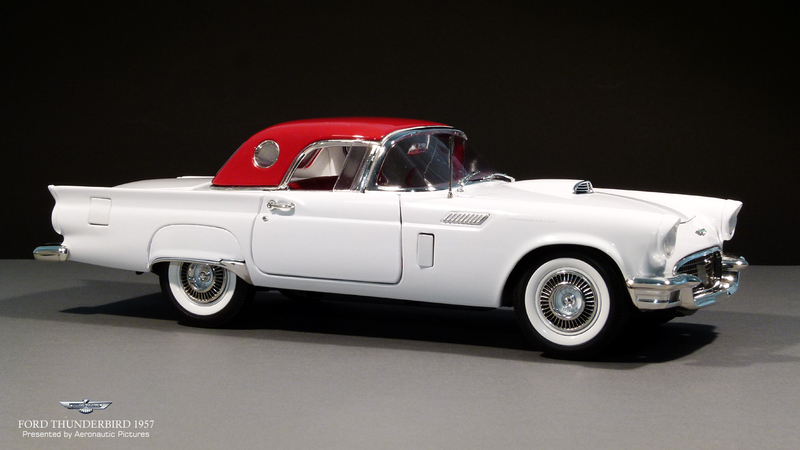 I can highly recommend this Ford thunderbird 1957 from Auto World….in any color!! Note the tube in the trunk from the right rear fender to the floor of the trunk - The tank filler lid is open too! Are you ready to sign a deal for a new car? 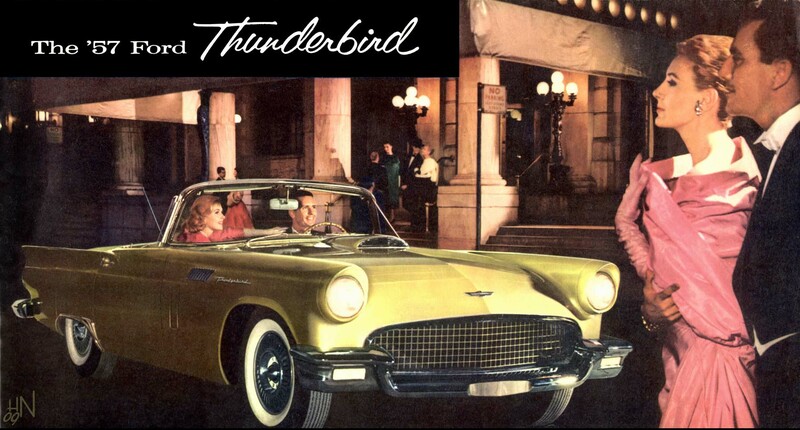 In its third and final year as a two passenger automobile, the Thunderbird underwent a major transformation, both inside as well as outside. 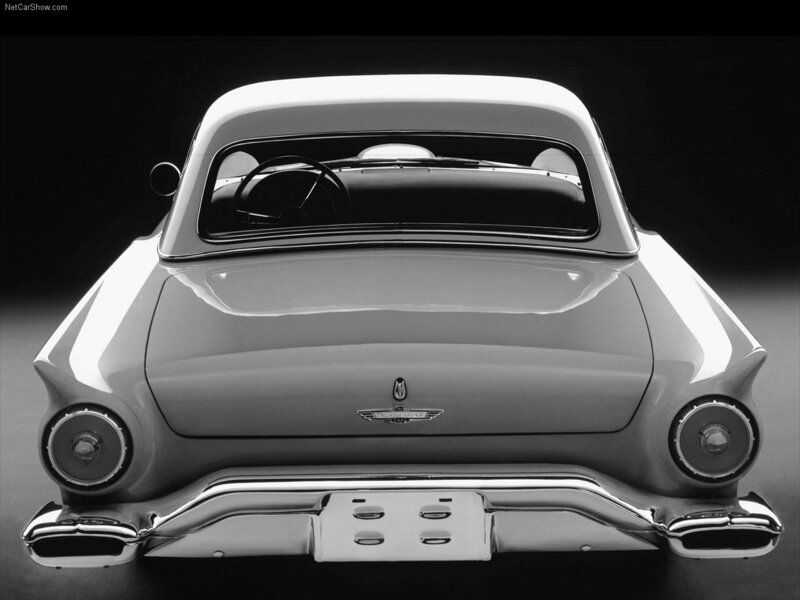 In a last attempt to address concerns about a small luggage compartment, without the handling issues the rear-mounted spare tire created, Ford gave the T-bird a mostly new body, with lengthened rear fenders that allowed an additional six inches of space in the trunk, which provided adequate storage space for a sporty, personal car, without creating any other ill side effects. The styling generally reflected that of other Fords for 1957, with rectangular parking and turn signals mounted in the new larger and stronger front bumper under the headlights, and larger tail lamps in the rear with more prominent angled fins. The fins swept forward and terminated on the front door, sweeping down and receding into the door just in front of the door handle. A new rear bumper featured a raised center section, with dual rectangular exhaust outlets built-in under the tail lamps. Inside, a new instrument panel also reflected changes to the larger Fords, and no longer had the transparent hood of the previous models. A metal engine-turned applique was fitted to the face of the panel, and most of the instruments were shuffled around a bit. Seat upholstery was updated, as were the door panels, which now featured Thunderbird emblems embossed into the pattern. The front seat springs were revised to provide better support for the spine, and improved lateral support. As a result, Ford noted that driver fatigue on long trips had been reduced. Changes were made to the frame as a result of the longer rear section. The number four cross member, which had been a channel section on earlier cars, was changed to a box section to provide additional strength. The longer rear section also improved weight distribution, which resulted in better handling than before. 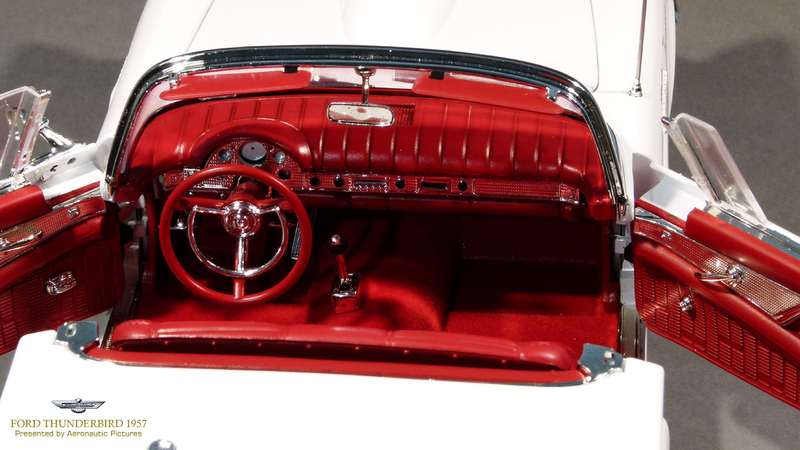 New options for 1957 included the Dial-O-Matic power seat, which included a control mounted on the lower instrument panel, below the radio and ash tray. A ring control, with a pointer could be placed on settings numbered 1-7 to control the forward/backward movement of the seat, and a center knob featured settings marked A-E for up/down adjustment. The driver merely set the controls to the most comfortable seat position, and the seat would automatically return to that position when the key was turned on. For ease of access, the seat automatically moved to its rearmost position automatically when the key was turned off. This was not a terribly popular option for some reason, and was offered in addition to the optional 4-way power seat. 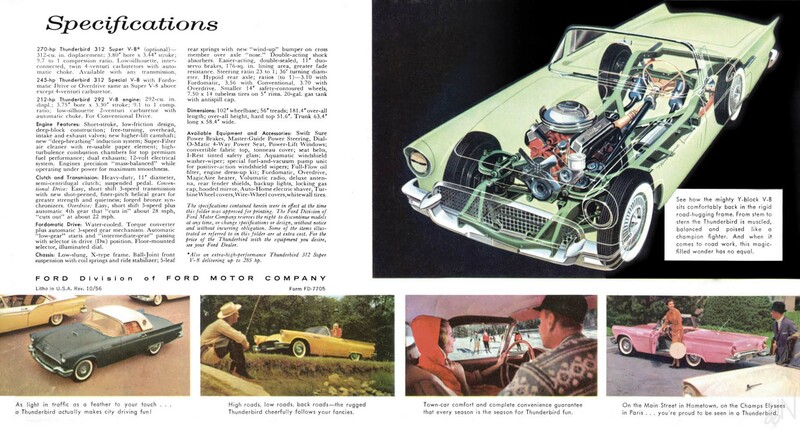 Several new engine options were offered in 1957, including a new Thunderbird Special Supercharged V-8, with a cubic inch displacement of 312, which developed 300 brake horsepower and 340 lbs.-ft. of torque @ 5300 rpm. Fuel was fed through a Holley four barrel carburetor with a McCulloch/Paxton centrifugal supercharger. Another offered dual four barrel carburetors. A new all-white interior trim color was offered, and for the first time solid interior colors of red and copper also became available. Two new convertible top colors were also available, blue and tan, keyed to both interior and exterior colors. 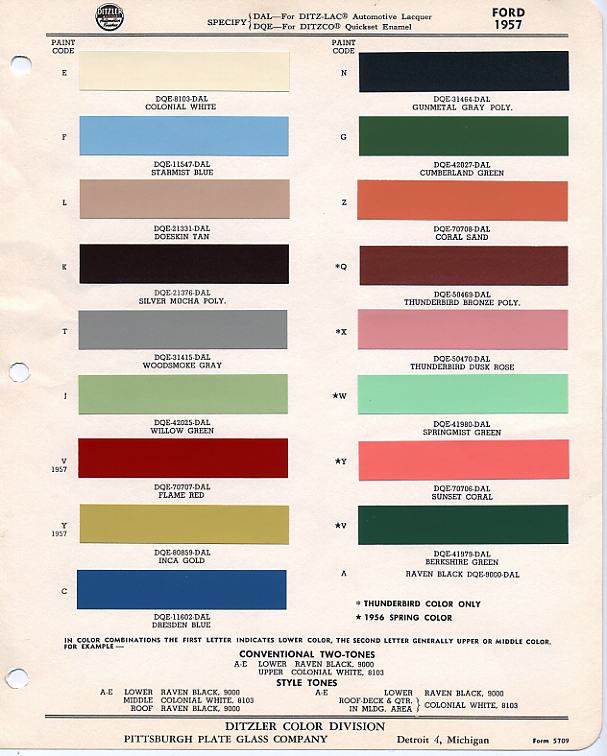 The black, blue, and tan tops were canvas, and the white top was vinyl, which continued to have durability and longevity issues and suffered a short life span. The convertible top mechanism was modified for easier operation. Ford reworked the top options for 1957, with the standard "glass-fiber hardtop" being included in the base price. Port windows were considered a standard feature this year, with a no charge, optional hardtop without the port windows available by request. Hardtops without the port windows got a new circular badge with a V-shaped Thunderbird emblem set against a black background mounted in the lower front corner of the top, just behind the door glass. The hardtop could be ordered in matching or contrasting paint colors. 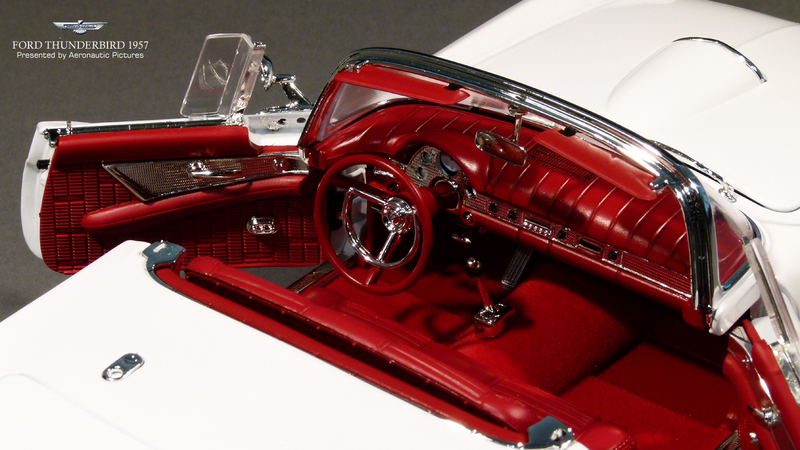 A revised clamping mechanism was also provided for the hardtop in 1957. For owners wanting both hardtop and soft top, the folding convertible soft top was provided as standard, with the hardtop at extra cost. 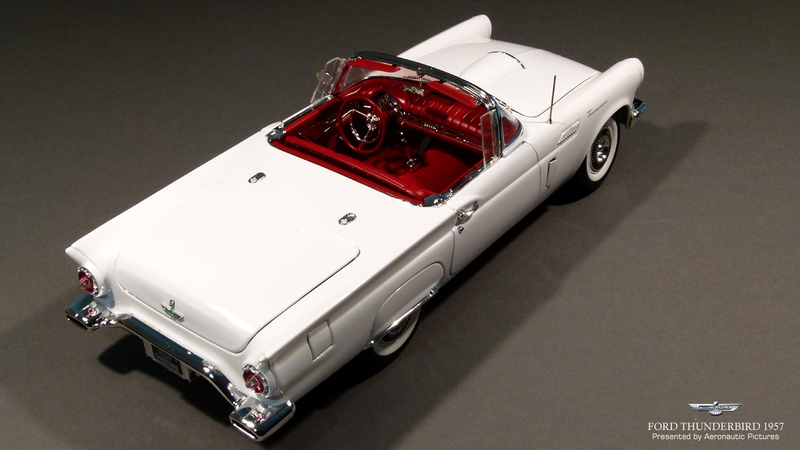 A bit confusing, but it appears Ford wasn't certain even in the beginning how to equip its new T-bird, when it came to the type of top provided. 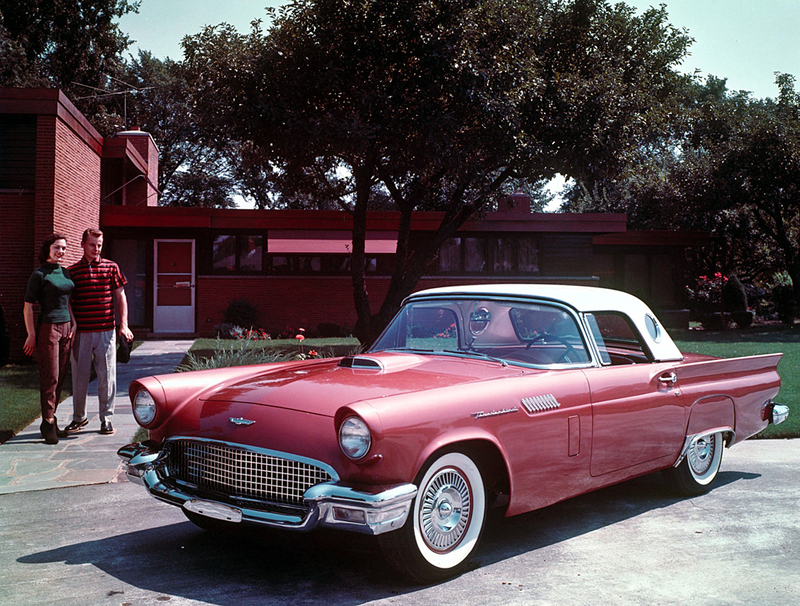 From virtually the day the first 1955 Thunderbird hit the streets, Ford was planning a major change for the car. 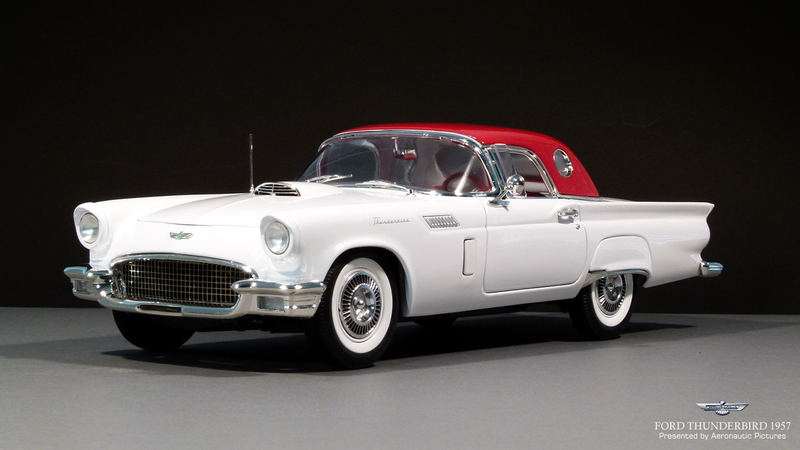 The two passenger capacity limited the T-bird to a select market, one which was getting smaller by the day. 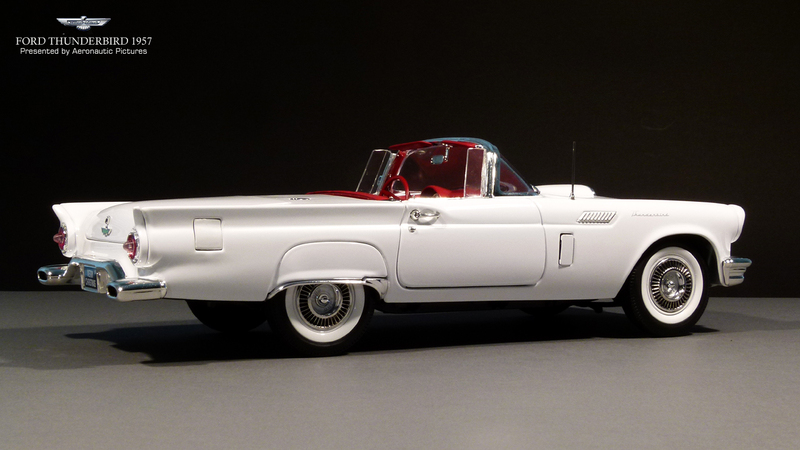 Ford's marketing showed that more people would buy a Thunderbird if passenger capacity was increased, as long as its distinctive styling remained intact. 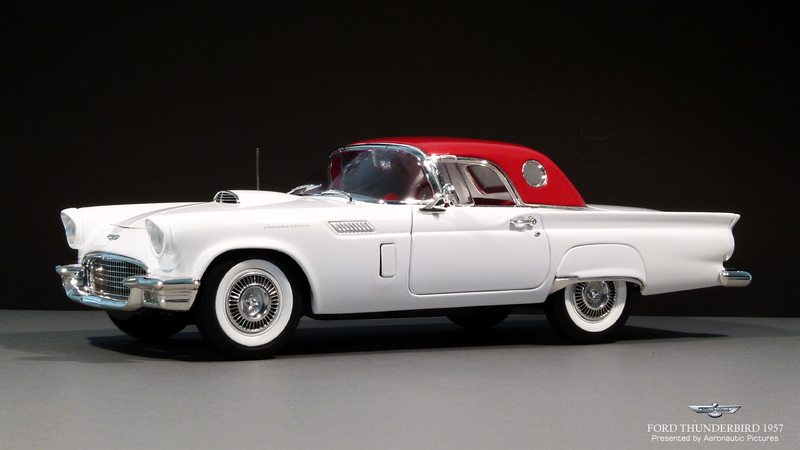 It was determined that costs could be cut if the T-bird shared assembly facilities with the new 1958 Lincoln and Continental, which would be built in a new facility in Wixom, Michigan. 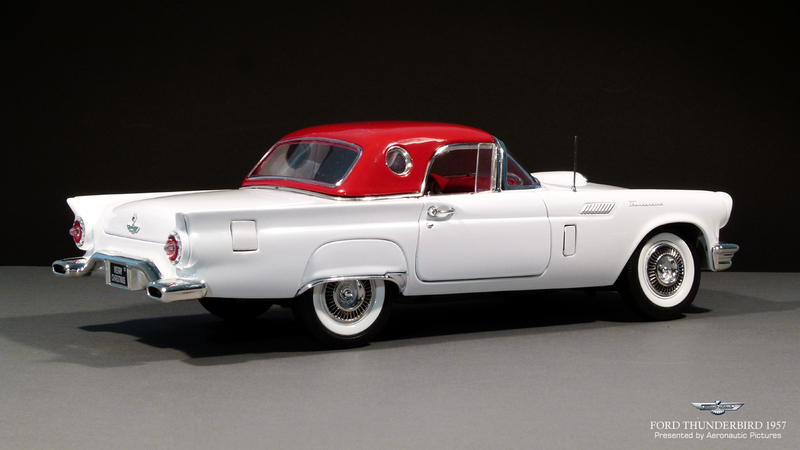 The new Lincolns would be of unibody construction, and in order to share as much of the cost as possible, the next T-bird would also have to be a unibody vehicle as well. This would be the beginning of a very long relationship between the Thunderbird and Lincoln, one that would continue through 1976. 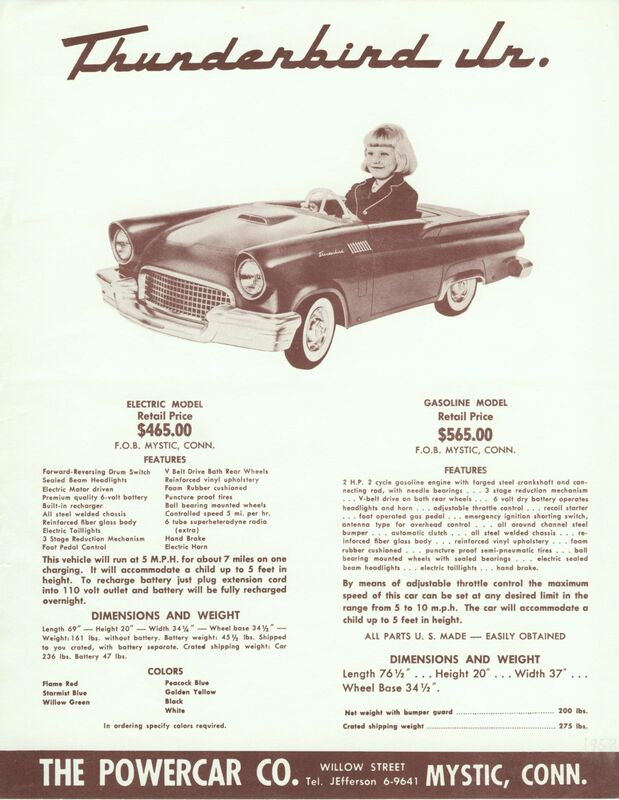 Being able to distribute design costs over more than one car line allowed Ford to keep prices low and realize more of a return on their investment, and the Thunderbird and Lincoln were well suited toward sharing components during this time. There are many who believe the first three years of Thunderbird production best represent the nameplate; however, it's likely that had Ford not made changes to the car over the years to keep it the trendsetter it always was, the line would have never made it as far as it did. 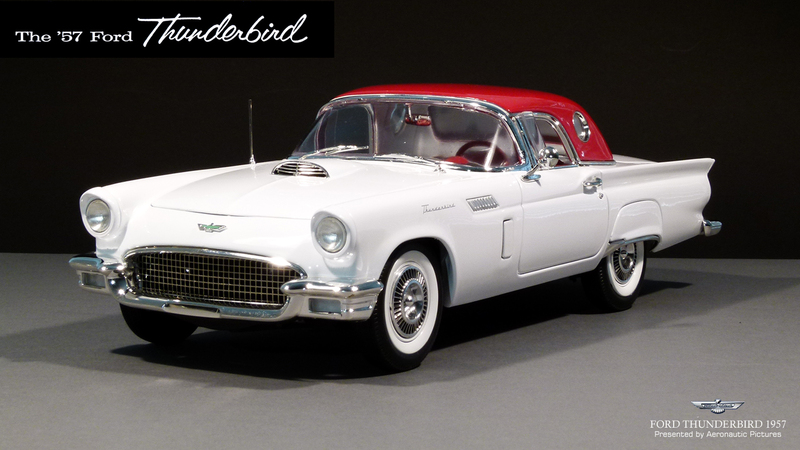 Some of the most beloved T-birds of all time were built in the years after the two passenger Bird left production. 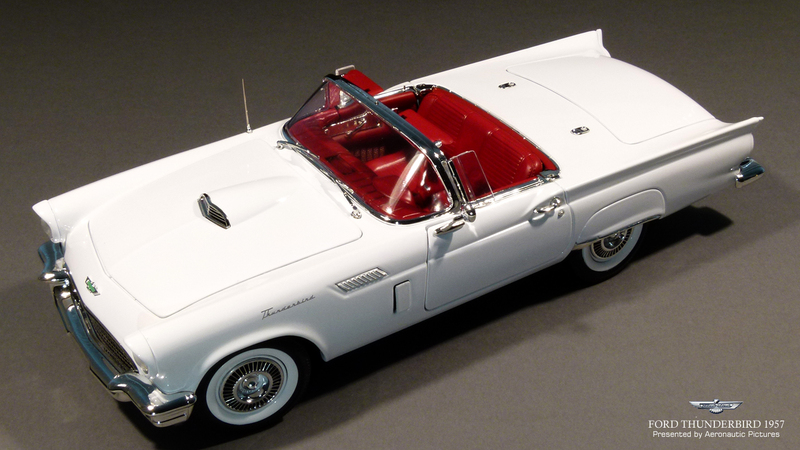 The Ford Thunderbird had done everything Ford intended for it to do. 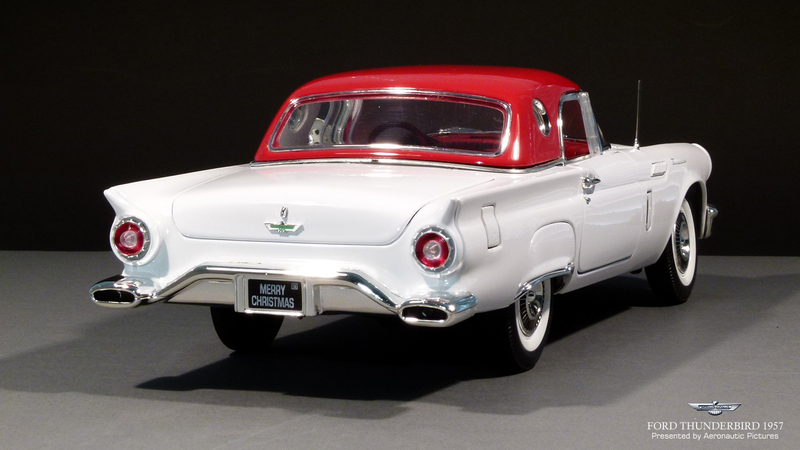 It captured the hearts of America, brought people into Ford showrooms so they could see it first hand, and hopefully buy another Ford automobile if the Thunderbird wasn't right for them, and it was the car to own and be seen in. Sales the first two years were quite good, especially considering the very limited market for this type of a car in the first place. Sales for 1955 surpassed predictions, and even though sales dropped off for 1956 slightly, that was due to a late introduction of the '56 cars as much as anything. 1957 would be the third and final year for the original two passenger Thunderbird, and some feel the third year was the best one yet. 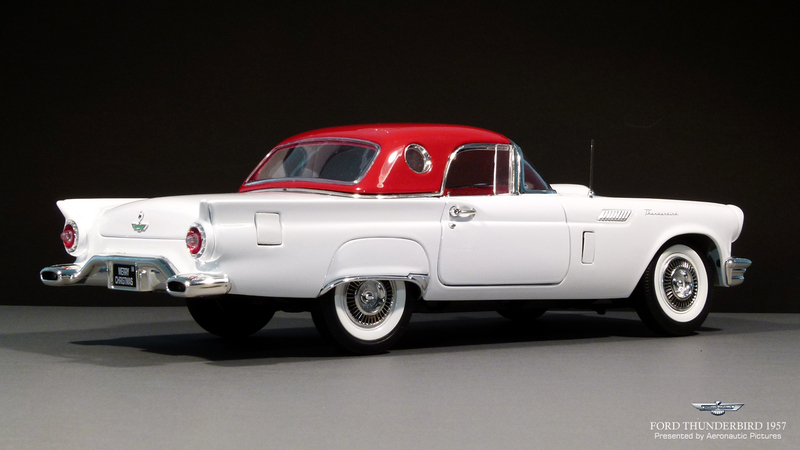 Since the introduction of the Thunderbird, there had been complaints about the passenger compartment being too warm, poor visibility with either of the tops installed, limited passenger capacity, and inadequate space in the luggage compartment. Obviously, when one buys a two passenger sporty personal car, one should expect limited passenger capacity. 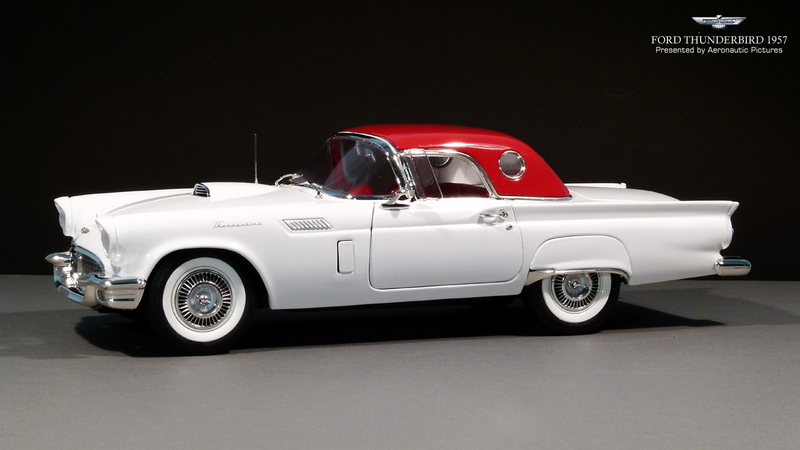 This meant most Thunderbirds would be second cars in a two car family, and with America's families growing at this time, the need for more capacity was growing as well. 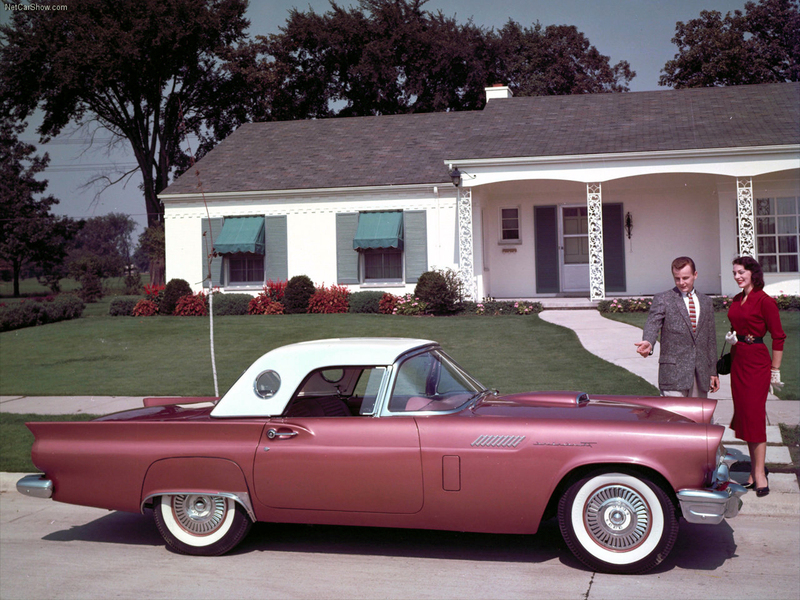 Ford recognized this and was ready to respond with a new, larger Thunderbird for 1958. One that would allow four passengers to travel in Thunderbird style and luxury, one that would offer adequate luggage compartment space for road trips or an outing to the golf course. The new car would be of unibody design, and would be built in a new assembly plant in Wixom, Michigan along with the Lincolns and Continentals. 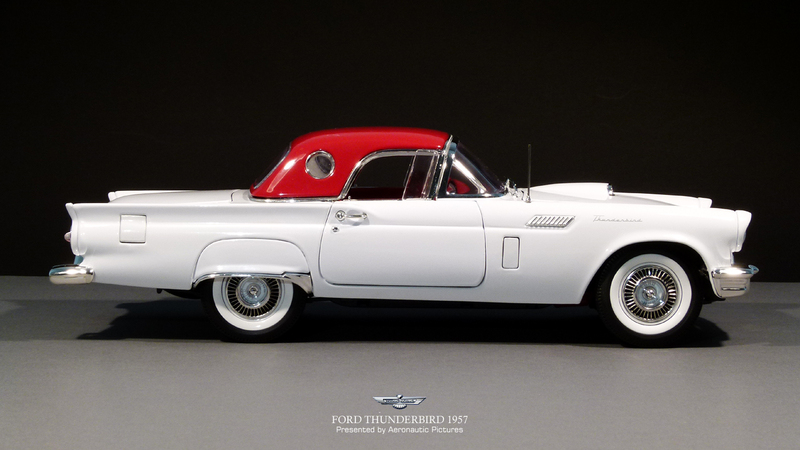 As with anything completely new, there were delays, and the new 1958 Thunderbird would not be ready to make its debut along with the rest of the 1958 Ford line, so production of the 1957 Thunderbird was held over, to keep new Thunderbirds available during this time. 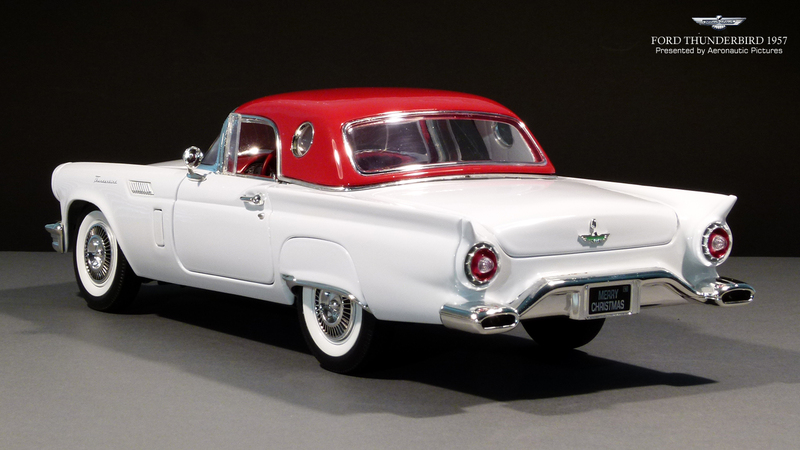 That meant initial Ford literature for the 1958 models also included the 1957 Thunderbirds. 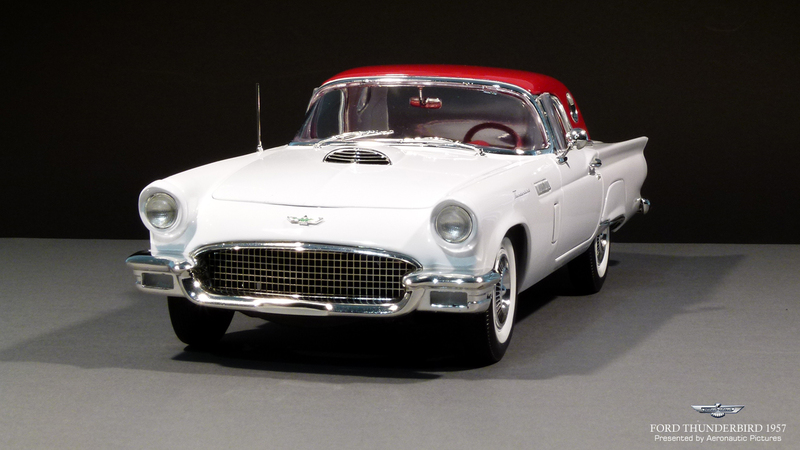 '57 T-birds made during this time received new 1958 colors, and appeared in dealer showrooms alongside the new 1958 Ford models. 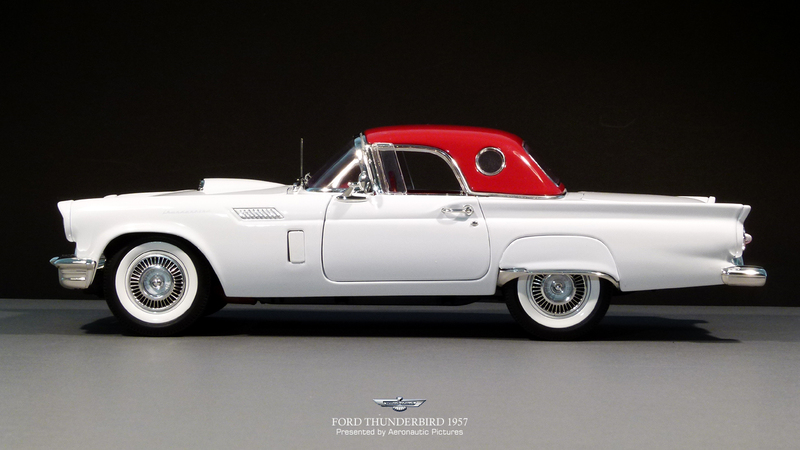 Because of the longer than normal production run, and because the 1957 Thunderbird received an attractive styling update that addressed some of the issues with the former models, sales grew to 21,380 cars. 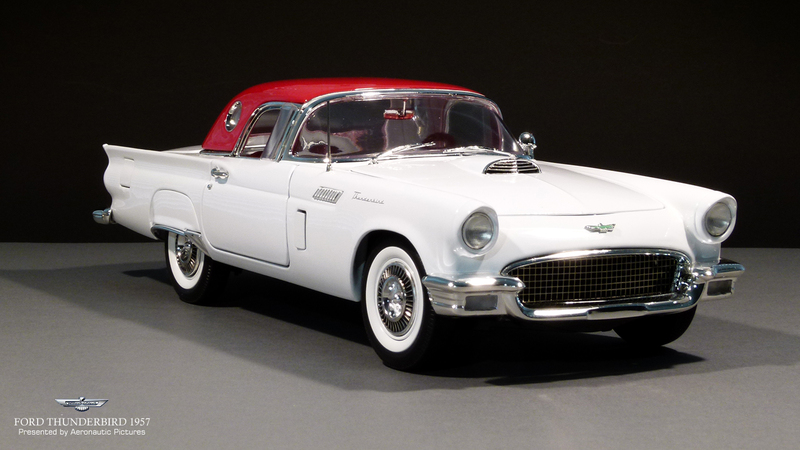 The final 1957 Thunderbird reached the end of the assembly line on December 13, 1957. 1958 would not be a good year for the automotive industry, as the country was in a recession at the time. Sales of new cars plummeted, and the most notable failure was the highly-touted introduction of the new Edsel, a make designed to compete in the middle price range. The Edsel would last just over two years, and was discontinued shortly after the 1960 models hit the showrooms. 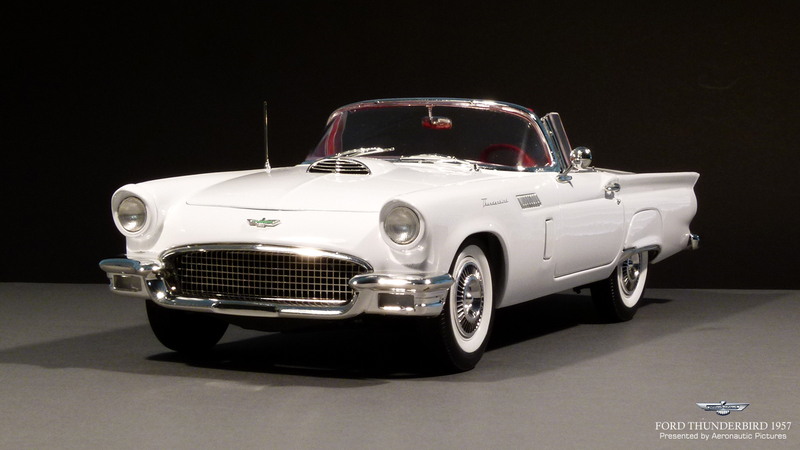 One of the few 1958 success stories, however, was the new larger '58 T-bird, one of just two models to show a sales increase for the year. 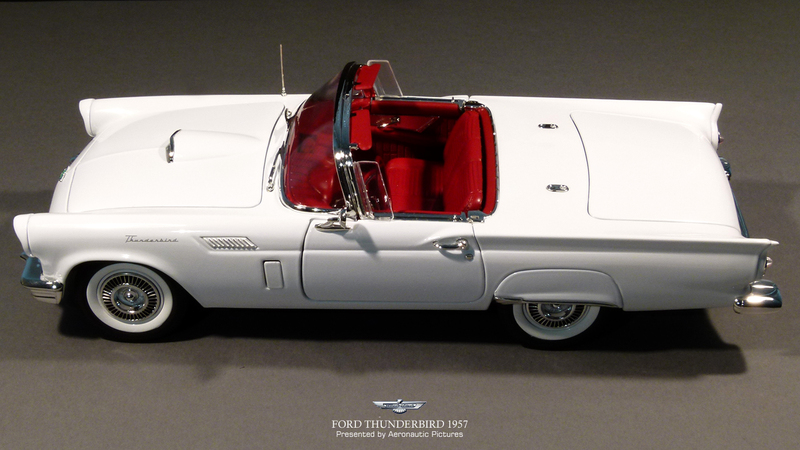 37,892 Thunderbirds were built in 1958, an increase of 16,512 cars, or 177 percent of 1957 production. 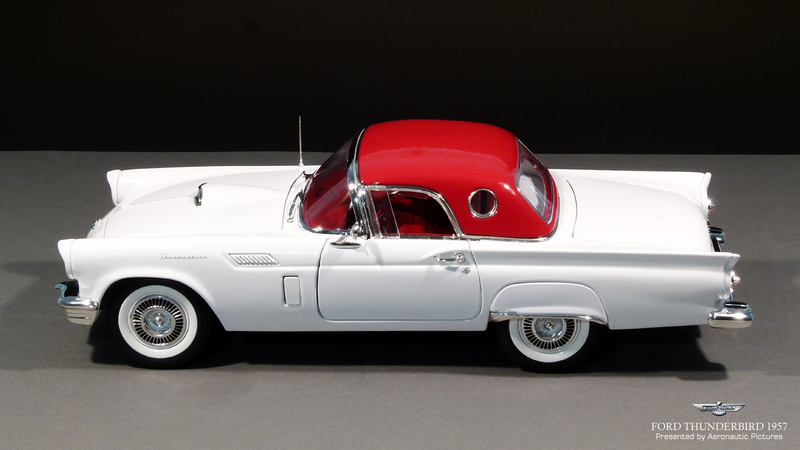 Even more amazing, was the fact that the 1958 Thunderbirds didn't go to market until after the start of the New Year, a very late start for a car, and only the Hardtop model was initially available. 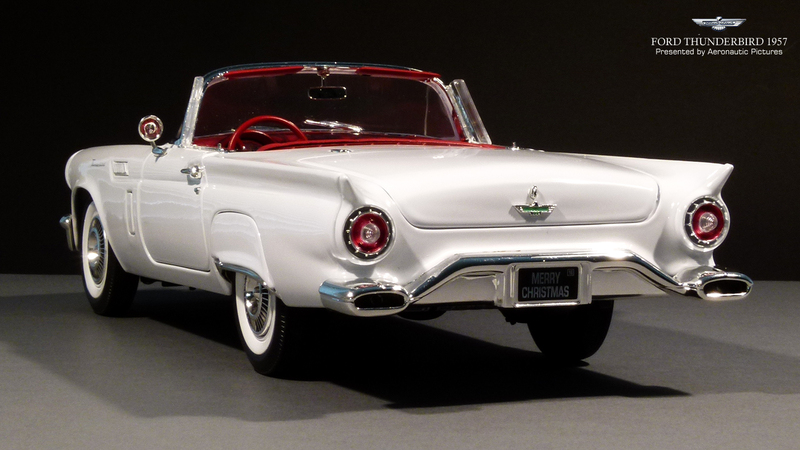 The Convertible didn't go into production until very late in the production run, making the 1958 Thunderbird Convertibles very rare. In 1957, Ford had two of the most distinctive and desired automobiles on the road. One of them was the Thunderbird, the other was the Continental Mark II, which was in its second and final year. Cadillac introduced its hyper-expensive Eldorado Brougham in 1957, the most expensive production car to date. As with the Mark II, the Eldorado Brougham sold in limited numbers and was meant to make a statement of superiority more than anything else. 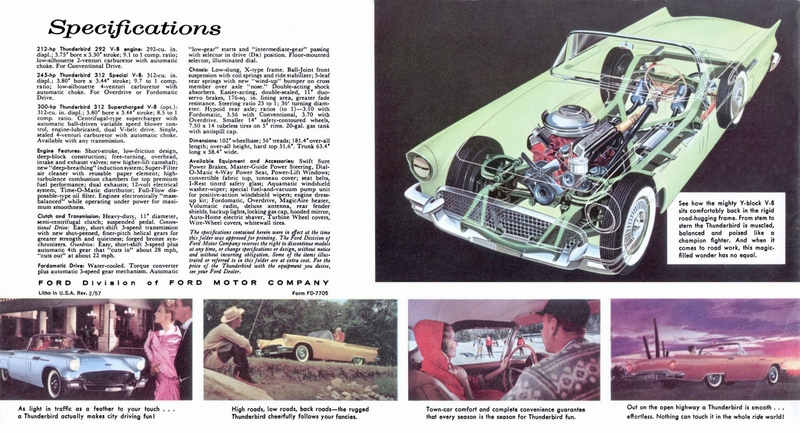 Advertising continued to include the Thunderbird in corporate Ford ads, showing cars from each division. The Thunderbird was also the focus of ads for car wax, Vista by Simoniz, for one. 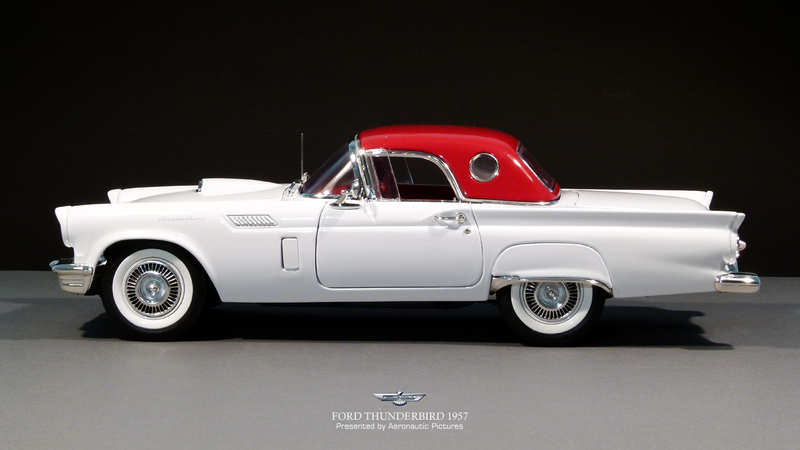 At this point, everyone knew what a Thunderbird was, and it was being widely used on television and in popular motion pictures of the time. It was popular with celebrities and notable personalities across the country. Driving a T-bird said a lot about its owner. 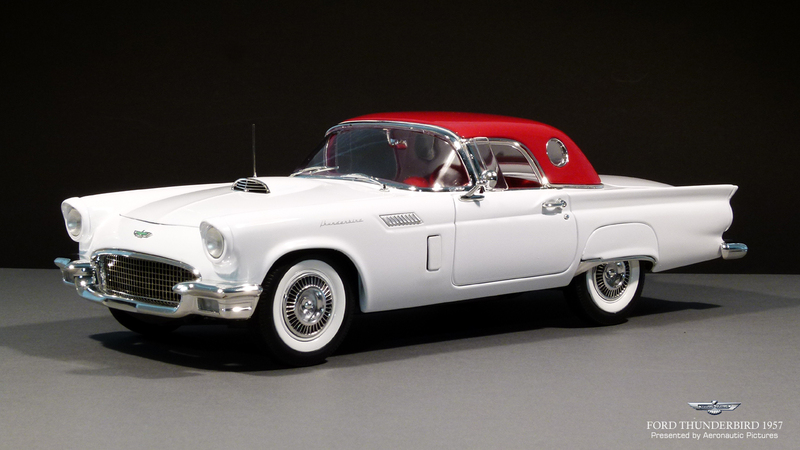 The standard 1957 Thunderbird engine was a 292 cubic inch V-8, rated at 212 horsepower and supplied only with the 3-speed manual transmission. 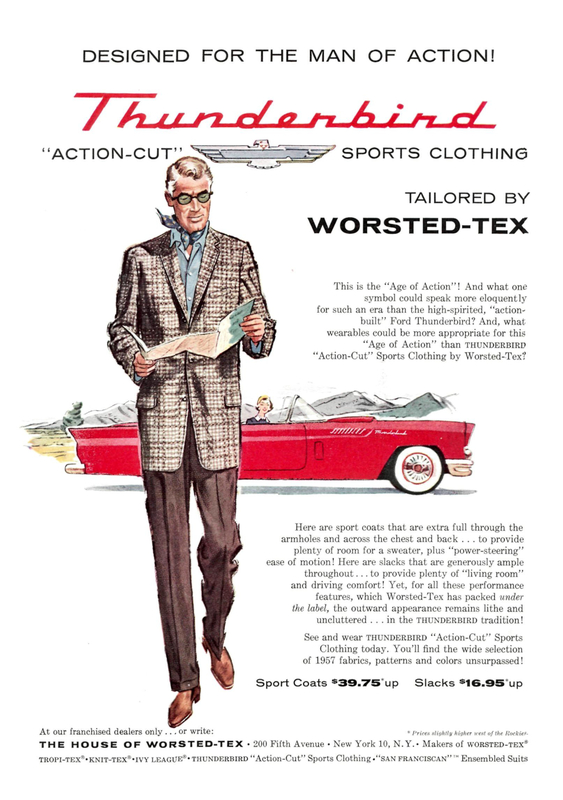 This represented an increase in horsepower from 202 in 1956. A two barrel Holley carburetor supplied the fuel and air mixture. In this form, the T-bird was a spirited performer, certainly not the fastest car on the road, but it wasn't far behind, either. The optional 312 cubic inch V-8, introduced in 1956, was now rated at 245 horsepower, and was available with either the optional Overdrive or Fordomatic transmissions. A Holley four barrel carburetor utilized the front two barrels for normal operation, and the additional rear two barrels kicked in for added performance, such as when passing or when additional power is needed going uphill. Since horsepower and performance were all the rage in 1957, additional engine options were offered on the 1957 Thunderbird to satisfy those with a desire for more performance. The 312 could also be ordered up with dual four barrel Holley carburetors, bringing horsepower up to 270. This engine option was supplied with any of the three transmissions offered at the time. A Racing Kit version was also offered, it featured a special Iskanderian E-2 camshaft with a longer duration and dual valve springs, and it brought the horsepower rating up to 285. 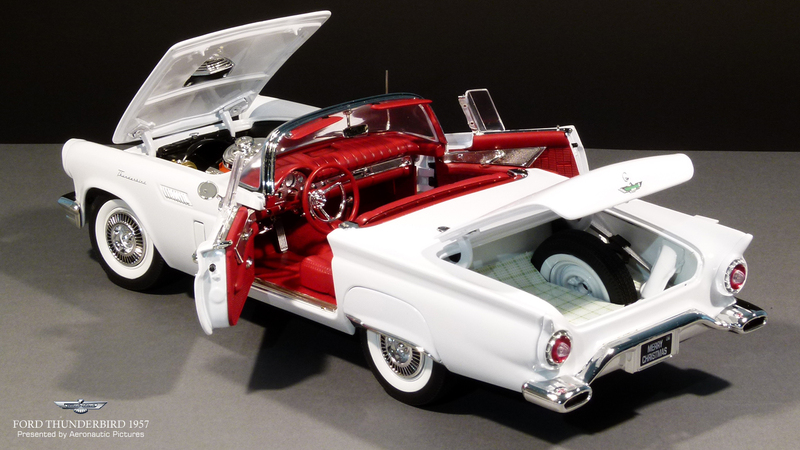 If this wasn't enough, a limited number of 1957 Thunderbirds were built with a 312 cubic inch V-8 equipped with a McCulloch Variable Ratio Supercharger. The model number of this supercharger was VR-57, and it featured a unique sealed intake housing that fit over a special Holley four barrel carburetor. This was a different carburetor than those supplied with the other engine configurations. In addition to the supercharger and unique carburetor, this engine used a special camshaft and a dual point distributor. The upper fan shroud was notched to provide clearance for an additional idler pulley to drive the supercharger. While the supercharger may seem exotic for the time, by 1957 Chevrolet had developed a fuel injection system it called Ramjet. It was designed in cooperation with Rochester. Standard on the 1957 Corvette, Chevrolet stated that this system provided increased power, more instantaneous acceleration, faster cold starts, smoother engine warm up, and better overall fuel economy. It also eliminated the possibility of carburetor icing in cold weather. Ford and Chevrolet began looking into entering the racing circuits late in 1955. A win would add prestige and draw people into the showrooms. Ford set up an independent organization to handle its racing interests. Known as Peter DePaolo Engineering, it was based in Long Beach, California. Two units within the group were formed, one for the East Coast NASCAR racing circuit, and the other for the West Coast NASCAR racing circuit. The West Coast unit in particular was of importance, as it allowed even more modifications to the cars. Several 1956 Thunderbirds were delivered to DePaolo so they could begin their work, and by December 1956, four 1957 Thunderbirds were also shipped to Long Beach. Two of the '57 cars were modified so heavily that they bore no resemblance to the original car, but the other two, which were intended for the "stock" class, were more modestly modified. Under existing NASCAR specifications at the time, the stock cars had specially-cast blocks that resembled the stock 312 engine. However, sections of the castings were heavier where necessary, and they had special camshafts, hydraulic lifters, a non-standard bore, and a stroked camshaft with a 1/4" extra throw. 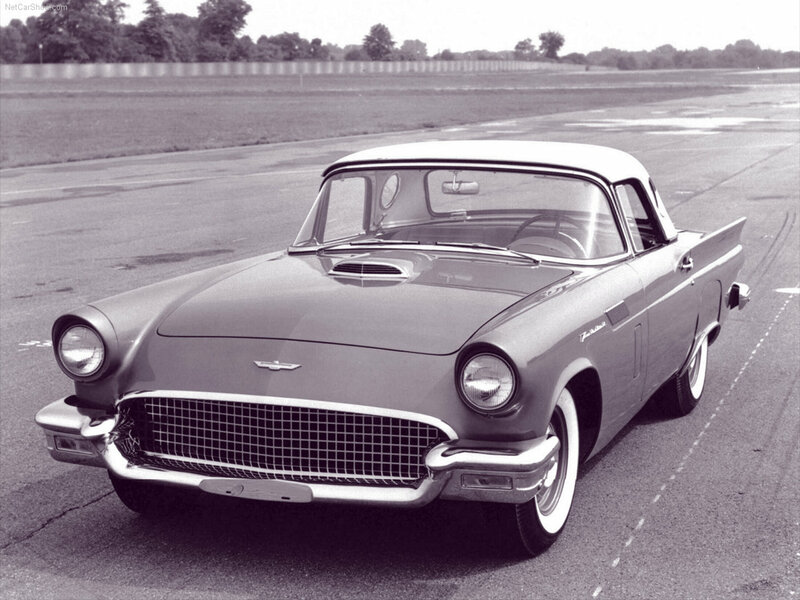 An experimental McCulloch supercharger was also fitted and tested, with the intention of making it available as a factory option on the 1957 Thunderbird later in the year. 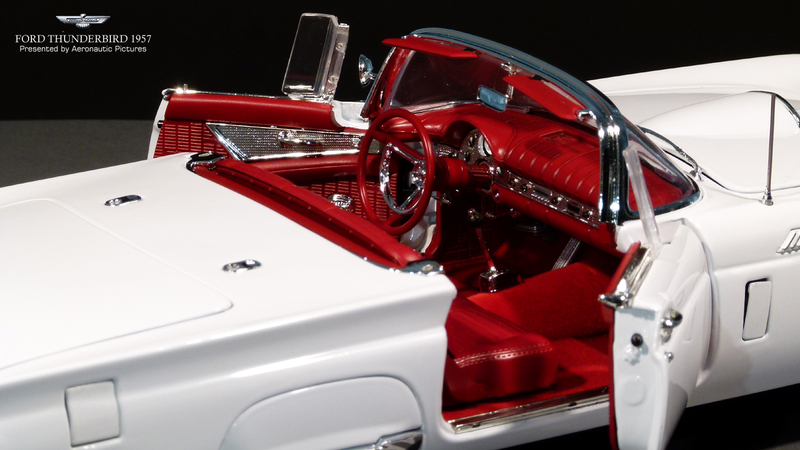 One of the modified, but still "stock" Thunderbirds, was equipped with aerodynamically-designed body panels, and included aluminum panels in place of the steel doors and hood. In the 1957 Daytona Spring Speed event, this T-bird cleaned up with a clocked 138.755 miles per hour time for the two-way flying mile on the sand beach. The same car later set a new record of 89.708 mph for the standing mile, and at Bonneville, registered a top speed in excess of 160 mph! The Thunderbird had beaten the Corvette, and Ford's moment of glory was exactly that—a moment of glory. In June of 1957, the Automobile Manufacturer's Association of Detroit, Michigan made a decision that factory racing must be suspended. This was based on complaints that some of the "stock" items used on these cars weren't actually available to the public, which was a requirement of the stock classification. So factory racing, and most of the components associated with it, disappeared. - Except in the case of the 1957 Thunderbird. The one item: the supercharger. The standard 312 engine block was able to accommodate the high lift camshaft and the experimental supercharger was now available in a production version. 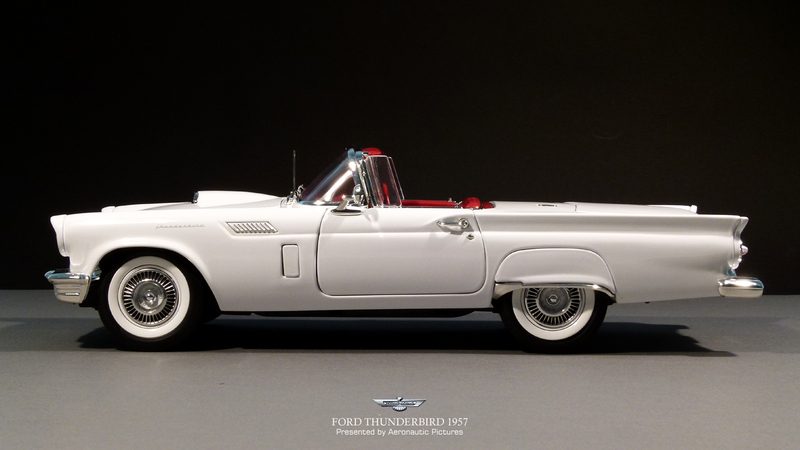 Just 211 1957 Thunderbirds were built with this highly desirable engine, 14 with the Phase I 3-speed or Overdrive transmission, and 197 with the Phase II, equipped with any of the three transmissions offered for 1957. There were warranty issues with the Phase I superchargers, and a Product Service Letter P-372, dated January 29, 1958, advised dealers to replace the Phase I units with Phase II units. This was a temporary fix, however, as by June 22, 1958, a Management Service Letter M-178 was released advising dealers to send defective Phase II units back to the manufacturer in Long Beach and order replacement parts from their regional parts depot. Repair procedures were also provided to dealers who wanted to repair the units in house. 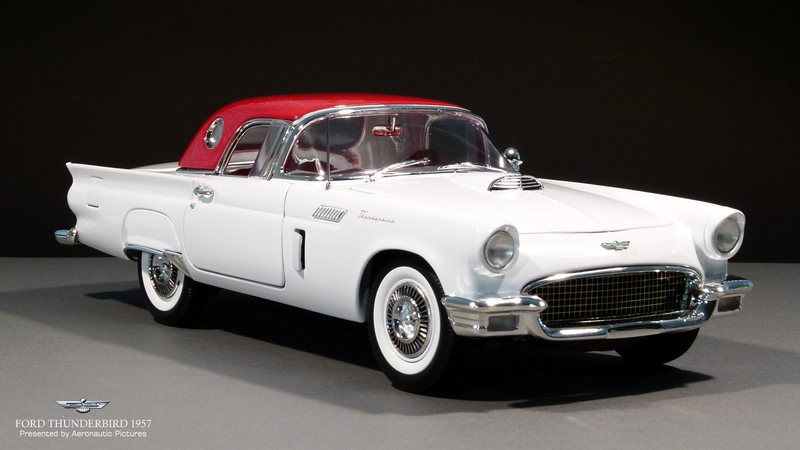 In the interest of fairness, we should point out that the Corvette bettered the T-bird in other races, and it should be noted that many credit the Thunderbird for the Corvette's continued existence. From 1953-1957, Chevrolet sold 14,446 Corvettes. Compare that to Ford's production of the 1955-1957 Thunderbird, at 53,166...a three year period compared to five years for the Corvette. During this time, Chevrolet and Ford were highly competitive, and wanted to compete model-for-model. Chevrolet had considered canceling the Corvette due to slow sales, but refused to admit defeat when the T-bird came along. So, Chevrolet invested more money into the Corvette, put a V-8 under the hood, and improved the car to be more aligned with what Americans expected in their cars at the time. In many cases, when it came to sheer performance, the Corvette, especially those with the V-8 engine, were faster than the T-bird. 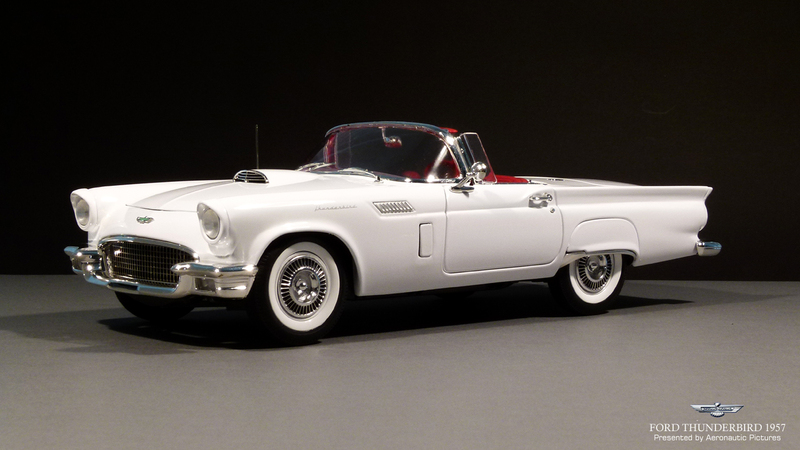 But the Thunderbird had captured the affection and attention of the American people, and as such was overall the big winner as sales during these early years beat the Corvette, in 1956 alone by a ratio of 10 to 1. Bore and Stroke: 3.75 x 3.30 in. Bore and Stroke: 3.80 x 3.44 in. Bore and Stroke:3.80 x 3.44 in. Total Swept Area: 176 sq. in. • Wheel/tire size changed from 15" to 14"